Gamers are a generous group. Each fall, tens of thousands of video game enthusiasts join together for Extra Life — a 24-hour video game marathon and fundraiser supported by the ESA Foundation — to benefit Children’s Miracle Network (CMN) Hospitals across North America. Game On! 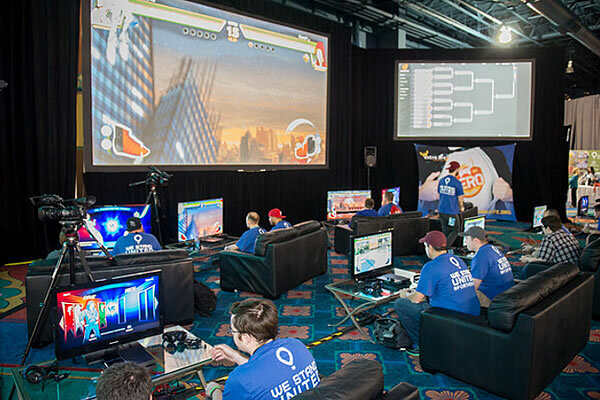 Extra Life participants battle it out during Extra Life 2014. Extra Life invites gamers to gather sponsorships from friends and family for every hour of game play. Gamers choose which CMN Hospital their donations will support and then play any game on any platform of their choice for any duration of time to support sick children in their communities. Gamers came together to co-create 54 official Extra Life Guilds — these groups are working to grow the Extra Life movement across the U.S. and Canada and encourage local organizations to join the cause. Extra Life has raised more than $14 million since 2008 to help provide outstanding pediatric health care to every child in need, regardless of their family’s ability to pay. ESA Foundation has proudly supported Extra Life since 2011. This past year, ESA Foundation launched the ESA Foundation Extra Life Challenge to help encourage gamers’ fundraising efforts. Players could “unlock” an additional $30,000 in grant funding for their local CMN Hospital by helping it to raise the most money. 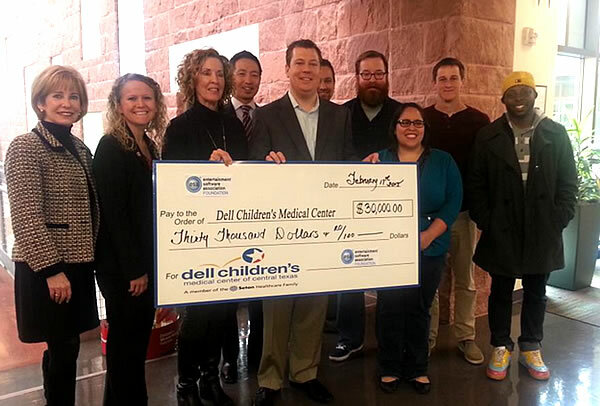 Thanks to local gamers’ dedication, Dell Children’s Medical Center in Austin, Texas and UCSF Benioff Children’s Hospital in Oakland, Calif., each received a grant for achieving top fundraising totals. Members of Dell Children’s Hospital and local Extra Life gamers receive the ESA Foundation Extra Life Challenge award from ESA Vice President of Government Affairs Tom Foulkes. “We’re profoundly grateful for the ESA Foundation grant, which allows Dell Children’s to address a child’s entire spectrum of physical, emotional, social and spiritual needs with a skilled team of medical professionals,” said Kip Holmes, CMN Hospitals program director at Dell Children’s Medical Center. ESA Senior Vice President Rich Taylor presents the $30,000 award to Rebecca Wilson of Children’s Hospital & Research Center Foundation. 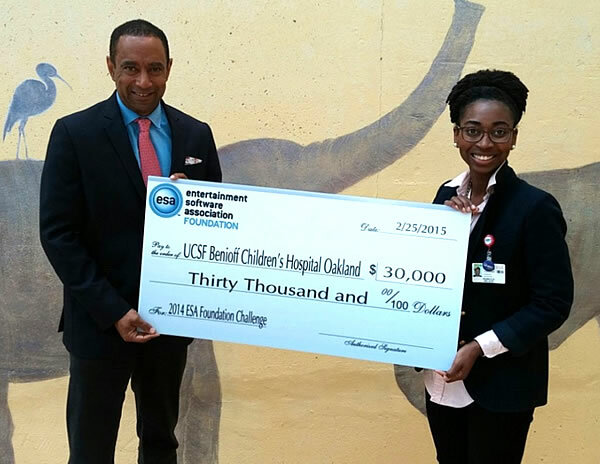 “We were overwhelmed by the Extra Life community’s support and thrilled to find out we were a top fundraising hospital,” said Rebecca Wilson, CMN Hospitals officer at UCSF Benioff Oakland. “The $30,000 will go towards research and delivering patient care to families." 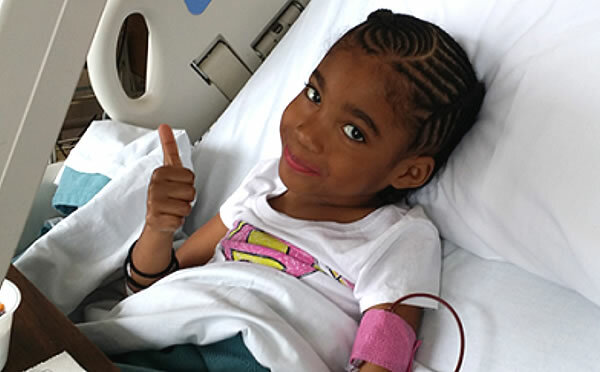 Extra Life’s fundraising efforts support the treatment of children like Leyia, a 6-year-old living with sickle cell disease, a genetic blood disorder that can cause lifelong problems. Leyia receives treatment at UCSF Benioff’s Center for Sickle Cell Disease and Thalassemia, the world’s most comprehensive clinical and research center for the debilitating disease. Leyia’s experience at the hospital was shaped by an expert team of doctors and nurses who provide her with excellent care, said Leyia’s mom, Jennifer. Leyia gives a thumb’s up during a treatment session. Leyia is just one of the children the ESA Foundation was able to help, thanks to the generosity of its donors. With your support and dedication, ESA Foundation is making a positive, direct impact in the lives of children across the country through grants to and partnerships with organizations such as Extra Life. Extra Life 2015 will take place on November 7. Those interested in participating can register on Extra Life’s website. To learn more about ESA Foundation and to support its initiatives, visit www.ESAFoundation.org.